In 1984, Don Bluth, Steven Spielberg and Universal Pictures united to create an animated film designed to rival the beauty of Bluth’s earlier effort, The Secret of NIMH. It would have been Universal’s first animated feature since 1965’s Pinocchio in Outer Space and Spielberg’s first animated film ever. 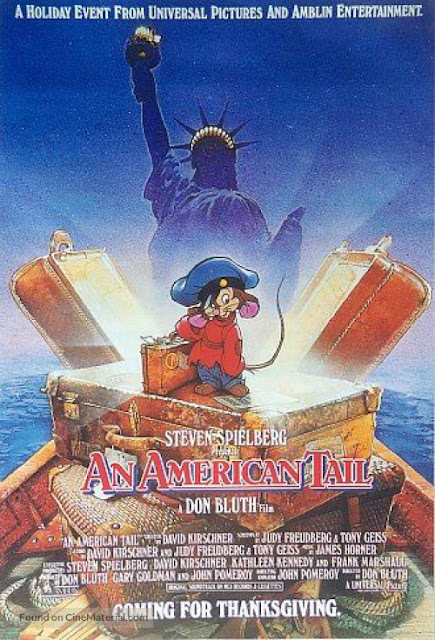 The film was An American Tail, conceived by producer David Kirschner. While the script was being written, Bluth began developing the character designs. The look of Fievel was the most important, especially to Sears who had a large marketing campaign in place around the film. As nostalgia was at an all-time high amongst baby boomers, and being that there were so many mouse characters out there, Bluth decided to go retro and used the round and soft cuddly style that was prevalent around the time of Disney’s Snow White and the Seven Dwarfs. Bluth worked on the storyboards with assistance from Larry Leker and sent them over to Spielberg for changes or approval. 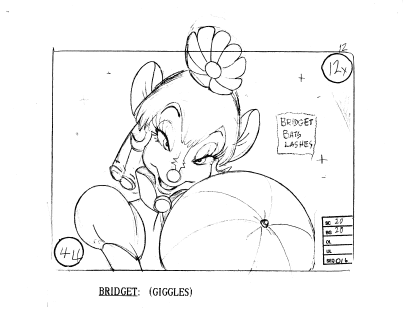 During the production, Don Bluth Studio began using a valuable tool that would help trip their animating time: a video printer. By recording actions, they could print them out frame-by-frame to use as reference or, in some cases, a traceable guide. Unfortunately, any time benefits were lost when scenes constantly had to be approved by both Amblin Entertainment and Universal. They were also working with a significantly smaller budget than other animated features at the time (causing frequent disputes with the union), and Spielberg’s desire to incorporate as many songs as possible. In compromise, many scenes were trimmed or dropped and replaced with shorter ones, resulting in some errors and a jumbling in the overall narrative. 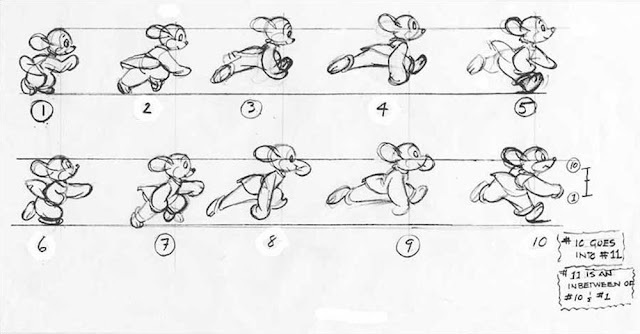 Animation also had a tendency to come back needing fixing, and turnaround for overseas coloring was slower than expected. Finally, An American Tail came together for its preview screening in October of 1986, and was released theatrically on November 21st after a heavy marketing campaign by Universal. The film, set in 1885, followed the Mousekewitze family on their journey to a “cat-free” America. They were driven from their home in Shostka, Russia when Cossacks firebombed the house of the human family they lived with. Boarding a tramp steamer in Germany, the Mousekewitzes began their perilous journey to a new home when Fievel (Phillip Glasser) was washed overboard and seemingly lost at sea. Fievel ended up saved by a bottle and in America anyway, and set out to reunite with his family amongst the new perils his new country had to offer. Despite mixed reviews, the film opened in second place only to Crocodile Dundee. Positive word of mouth led to an increase in subsequent weeks. While it became the highest grossing animated feature upon first release, the fact that the independent film went toe-to-toe with Disney re-released films The Song of the South and Lady and the Tramp and was not obliterated was the most noteworthy accomplishment. Sears made a killing on Tail merchandise, and the song “Somewhere Out There” was an immediate hit. The song, the film, and the score by James Horner were nominated for multiple awards. Worldwide, the film ended up grossing over $150 million and was one of the top-selling VHS tapes when it was released in 1987. In 1989, Amblin and Universal entered a partnership to form their own London-based animation studio, Amblimation. Fievel served as the company’s mascot and appeared with its logo. 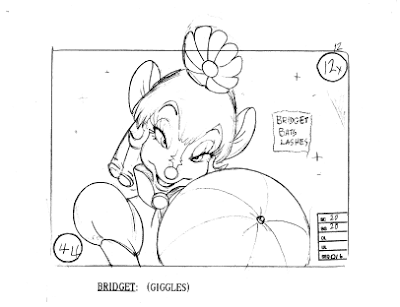 One of Amblimation’s first projects was a sequel to An American Tail. Bluth and his new Ireland-based Sullivan Bluth Studios were set to work on the film again with Spielberg, but creative differences caused them to bow out. Former Disney animator Phil Nibbelink and Simon Wells, the great-grandson of H.G. Wells, were brought on board to direct the project. As a result, the animation style was markedly different from the first and several characters underwent minor cosmetic changes. Horner returned to score the film. An American Tail: Fievel Goes West was released on November 22, 1991—exactly five years and one day after the original—and was once again up against a Disney film: Beauty and the Beast. The film followed the Mousekewitz family as they left a hard life behind in New York for a supposedly better life in the west. However, Fievel discovers the move was a plot by Cat R. Waul (John Cleese) and his cronies to turn the mice into mouse burgers and is thrown off the train. Fievel, along with his friend Tiger the Cat (Dom DeLuise) and Western legend Wylie Burp (James Stewart in his final film role) set out to thwart the cats’ plans and rescue the mice. Like the original, the film generated mixed reviews from critics but still performed well at the box office; however, not as well as its predecessor. The film was a financial success, but only managed to gross over $40 million worldwide. Undaunted by the drop-off, Amblimation moved forward with another sequel; this time in the form of an animated series. Fievel’s American Tails would pick up directly from where Goes West left off and was co-produced by Nelvana, Ltd. and Universal Cartoon Studios. Cat R. Waul and TR Chula. 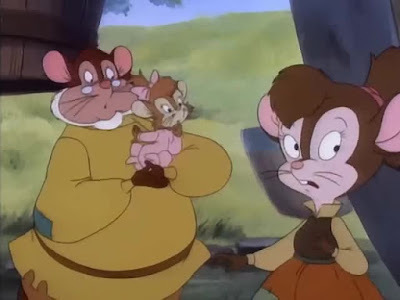 Phillip Glasser, who was cast for the original movie after being overheard auditioning for an Oscar Mayer commercial, returned to voice Fievel, as did DeLuise as his best friend, Tiger, and Cathy Cavadini as his older sister, Tanya (Cavadini replaced original actress Amy Green in the sequel). The rest of the characters were recast: Nehemiah Persoff was replaced by Lloyd Battista as Fievel’s father; Erica Yohn by Susan Silo as Fievel’s mother; Amy Irving by Cynthia Ferrier as Tiger’s girlfriend, Miss Kitty; Cleese by Gerrit Graham as Cat R. Waul; and Jon Lovitz by Dan Castellaneta as Cat’s sidekick, T.R. Chula. Cavadini also gained the additional role of Yasha, the baby of the family. 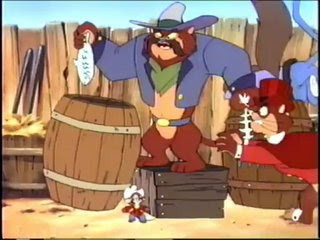 New to the series was Fievel’s other nemesis, Sweet William (Kenneth Mars), and his dimwitted henchmen, Slim and Felonious (both Castellaneta). 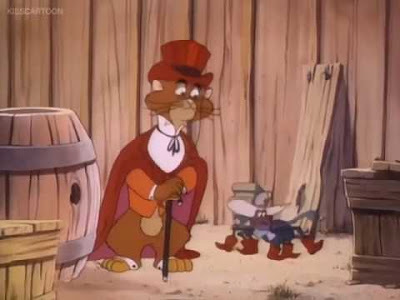 Fievel’s American Tails debuted on CBS on September 12, 1992. The show continued Fievel’s adventures in the west, often spoiling the schemes of Cat and Sweet William using his wits and guile. Otherwise, he helped his family in their violin shop as they dealt with the other immigrant families in the community of Green River. The series was animated by Wang Film Production Co., Ltd., Bardel Animation and The Hollywood Cartoon Company. The series’ theme was composed by Hank Saroyan and Robert Irving, while Milan Kymlicka handled the rest of the music. When Fievel was selected as the spokesmouse for Reading is Fundamental in 1992, little segments called “Reading Buddies” showcasing reading were tacked on to the end of the episodes of the series. Fievel’s ability to read also helped him out of some troubles in the show proper as a further tie-in to the campaign. The series failed to capture an audience the way the films, particularly the first, had and the ratings dwindled as it went on. At the conclusion of its sole season, CBS quietly cancelled American Tails and it was off the schedule by the fall of 1993. MCA/Universal Home Video released six VHS collections containing two episodes each, as well as two laserdisc volumes. The United Kingdom saw a similar release in 1995, but with a different episode order and swapped one of the episodes for the one not released in the United States. Episodes have also been released to DVD in France, Germany and Italy. Amblimation was dedicated to making more subdued and high-brow entertainment than what was currently being offered in animation at the time. Unfortunately, that didn’t attract American audiences and the studio’s few projects underperformed at the box office. It was shut down in 1997, but Universal went ahead with two more direct-to-video American Tail movies: 1998’s Treasure of Manhattan Island and 1999’s Mystery of the Night Monster. Fievel and the American Tail mythology live on at Universal Studios Theme Park in the form of Fievel’s Playland; a playground that allows visitors to pretend they’re the size of mice. It outlasted the live show that opened around the same time in 1989, and is currently one of the oldest attractions at the park. “Fievel, the Lonesome Ranger” (9/12/92) – When other cats kidnap Tiger, Fievel becomes the Lonesome Ranger in order to save him. “Law and Disorder” (9/19/92) – Being late for school ends up getting Fievel banned from seeing Tiger until his work is done, just as Tiger needs his help to perpetuate a ruse. “Little Mouse on the Prairie” (9/26/92) – Fievel accidentally loses his friend’s boomerang to Cat R. Waul and sets out to get it back. “The Gift” (10/3/92) – Fievel gets a violin for his birthday and accidentally breaks it. “A Case of the Hiccups” (10/10/92) – Fievel is tricked into giving the townspeople the hiccups so an unscrupulous “doctor” can sell them the cure. “The Legend of Mouse Hollow” (10/17/92) – Cat R. Waul disrupts the school play by kidnapping their teacher. “The Babysitting Blues” (10/24/92) – Papa and Mama leave Fievel to babysit Yasha as they prepare for a photograph. “The Lost Mother Lode” (10/31/92) – Fievel and his friends set out to find a supposedly haunted gold vein, but Cat R. Waul plans to get there first by giving them a phony map. “A Mouse Known as Zorrowitz” (11/7/92) – Cat R. Waul plans to steal the cheese delivery, but is thwarted by the mysterious Zorrowitz. “Mail Order Mayhem” (11/14/92) – A mail order catalogue causes chaos in the village through the items ordered from it. “Aunt Sophie’s Visit” (11/21/92) – Fievel wants to participate in the rodeo, but can’t because his aunt is coming to visit. “That’s What Friends Are For” (11/28/92) – Chula becomes Fievel’s friend when Tiger believes he can no longer be it. “Bell the Cats” (12/5/92) – Fievel ties bells to the cats’ tails so that their movements can alert the mice, unfortunately the plan backfires.